I’ve created a ‘power bus’ with some secondhand OO gauge track. 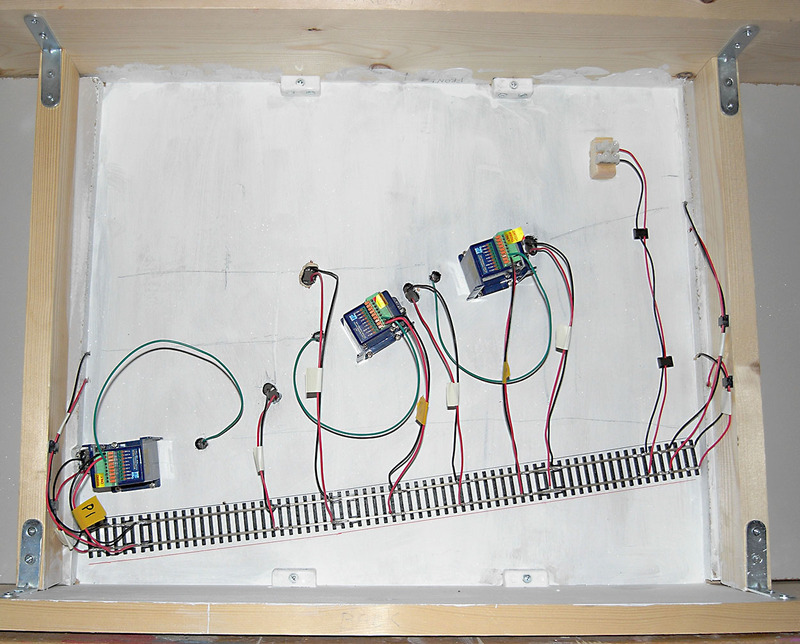 I’ve soldered the dropper wires from the track, and the power feeds for the point motors, to the ‘bus’. Additionally, I installed a ‘Plug and Socket Terminal’ to connect the controller to the layout. The control will provide power to the track and the point motors. Surprisingly, I even labelled the wires so that I can identify what is what ! The underside of the layout is looking much tidier now. What a nice way to spend a Sunday afternoon….